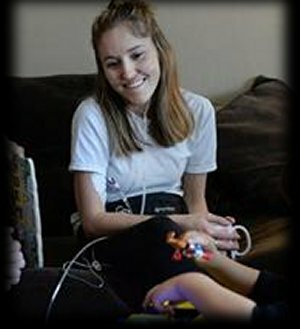 This Saturday at The Alban Arts Center there will be an all-ages Imrpov show featuring Improv, Magic and Raffles, and it’s all a fund raiser for a young woman who’s awaiting a double-lung transplant. That remarkable young woman is Beth Slack (seen right), and you can read about her struggle in great detail in this profile by Bill Lynch, which ran in last Sunday’s Gazette-Mail. Beth is the daughter of Tony Slack, who, in his days in The No Pants Players, appeared on the very first episode of the Radio Free Charleston video show, back in 2006. Tony and his family have been friends ever since, and Mel and I plan to be at this event to show our support. 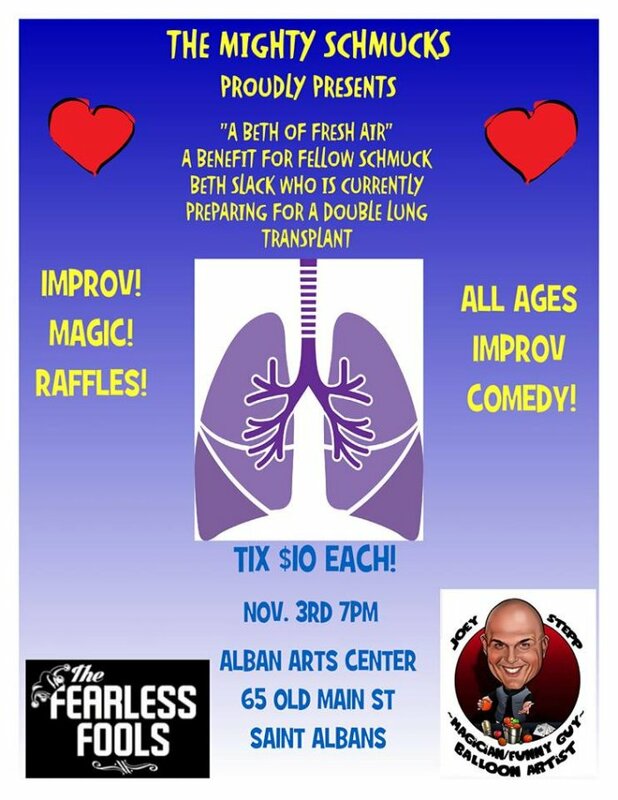 “A Beth Of Fresh Air” is the name for a series of fundraisers, and Saturday’s show is just one of them. Tony’s new Improv Troupe, The Mighty Shmucks, will be joined by The fearless Fools, from Parkersburg, and Magician Joey Steep. There will also be a raffle with an ever-growing list of prizes. Check the Facebook event page for the latest details. There will be more benefit shows in the future, and we’ll try to keep you up to date on them here in PopCult. Admission to the show is only ten bucks, and it all goes to a very worthy cause. That’s 7 PM Saturday night at The Alban Arts Center, 65 Old Main Plaza, Saint Albans.